The Marshall Public Schools Social Work Department includes the S.A.F.E. program, H.O.O.T. Resources & Homeless Education, and many other support and referral services for families in need. The following staff comprise the department and strive to stay informed and be involved to best meet the needs of students and families. The S.A.F.E. program was developed by Marshall Public Schools to help provide services to students and families who need support to be successful academically due to financial struggles, housing concerns, physical or mental challenges, and/or family structure, etc. It is an effort to assist every Marshall student to have the most positive educational experience possible. The S.A.F.E. program is an umbrella term used for any programs and resources offered through the Social Work Department. This program was initially based on the requirements of the McKinney-Vento Act which stemmed from the No Child Left Behind Initiative. This is now known as the Every Student Succeeds Act (ESSA), and provides guidance and resources for serving students experiencing homelessness. There are budget dollars set aside to help meet the needs of our homeless students, and the H.O.O.T. resources have stemmed from this funding, which are discussed in the next section. The S.A.F.E. program recognizes that homeless students are not the only ones affected by the sting of need, and functions to also provide for students who are at-risk for homelessness, who are struggling financially, or have other educational barriers where extra support is needed. This portion of the S.A.F.E. program is entirely funded through donations. A Stuff the Bus event is held in late Summer at Wal-Mart. The MPS Transportation department parks a bus, and the community is encouraged to “stuff” it full of donated school supplies. An annual Golf Tournament is held at Indian Foothills Golf Course in late May, as well, to stimulate funds for the following school year. Private financial donations are also appreciated, as well as donations of school supplies, hygiene products, laundry detergent, bedding, new or gently used coats, etc. Please feel free to contact us for further information, or click on the link below to donate now. We deeply appreciate your support. The H.O.O.T. Program is specifically designed to help address the unique challenges that students experiencing homelessness face. The Marshall Public School District shall adhere to the provisions of the federal McKinney-Vento Homeless Assistance Act. This law minimizes educational disruptions experienced by students who are experiencing homelessness. The H.R.C. is a comfortable and inviting home atmosphere available to students and families to visit Monday – Thursday from 12:30 – 6:00 pm. All resources are free! Visitors may take showers, do laundry, use the internet for homework, email, job applications, etc. Visitors can print off documents, research for homework, information, etc. Students will have a quiet place to work on homework and get assistance, if needed. A meal is available each night at 5:00 pm. Family and individual counseling is available weekly. Educational classes, family fun events, and other opportunities are available occasionally, as well. Transportation is available to/from the center for students and families. Please call the center for more info. High School and 7th and 8th grade students may ride Bus #12 to the HRC after school. 6th grade and under need to have a parent/guardian with them to attend. Feel free to call the Resource Center Manager with any questions you may have at 660-886-7414, ext. 20001. 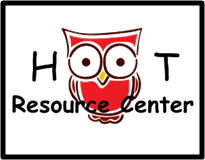 Follow the HOOT Resource Center on Facebook, Twitter, Instagram for upcoming events, menus, and available resources. Held Tues/Thurs from 3:15 – 4:15 pm at Benton, Southeast, Eastwood, Northwest, BMS, and MHS. This is an opportunity for eligible students to have a quiet, uncrowded place to finish homework, do research, and seek help with understanding concepts, as needed. Tutoring is provided by qualified Marshall teachers. Starts 2nd Quarter. An annual event, Project S.H.A.R.E. (Safety, Health, and Resource, Education), was created in 2016 through a partnership between The Marshall Public School District, Missouri Valley Community Action Agency to help Saline County families and individuals get connected with the resources they need! Everyone is invited to attend this event. Access to medical and dental services, backpacks and school supplies, information and sign-ups for resources, as well as a number of fun and free activities can all be found at Project SHARE. Over 50+ community organizations and agencies are available at this event, allowing families to come to one location on one day to gain access to what they need instead of making multiple appointments. Information about the event will be posted on the District News Feed, social media outlets, as well as on local newspaper and radio leading up to the event. Thank you for visiting our page. The Social Work Staff provides frequent contact and support to individuals and families in need. Please contact us at one of the above numbers if you are in need of assistance.